What is this statement? The game is available in US and EU, just switch the location of your Xbox and then browse the market. As far as I know, PA is working to make the game available in AUS/NZ. Correct. PA are indeed in the final stages of making the game available on the AUS/NZ Storefront. There is nothing stopping anyone using Xbox Giftcards and purchasing the game from the US store either, perfectly acceptable according to MS Support. this makes me think.. since my store is US (but i don't live in the US) and i pre-ordered the game already, this will always put me at a disadvantage connecting to US servers playing against ppl from the US..
can i cancel my pre-order now and re-order it from the EU (which are closer to me)? changing the region means losing all the pre-order content.. [Etc. ]Will we be able to switch regions between NA/EU servers? Yes, you can switch between NA/EU servers through your Xbox settings. When you switch servers, nothing will carry over, meaning that all your characters and things you have purchased will be region specific. Also, if you pre-order Black Desert for the EU region, your pre-order bonuses will only be available on that server. so, do i still have the chance to cancel my pre-order and re-order it from UK store? i wish to act on this quickly..
ok, i was able to cancel my pre-order. Yes you can cancel your preorder, then change your location to your country (located in EU) in xbox system settings, and then pre-order your pack again for your correct EU location. Playing with higher ping on US servers if you're living in EU is a high disadvantage in BDO because of more desync/lag during your attack combos and cc. Which would mean youd oreorder there for better ping yeah? yea, i think ppl from Australia are better off ordering from NA stores. 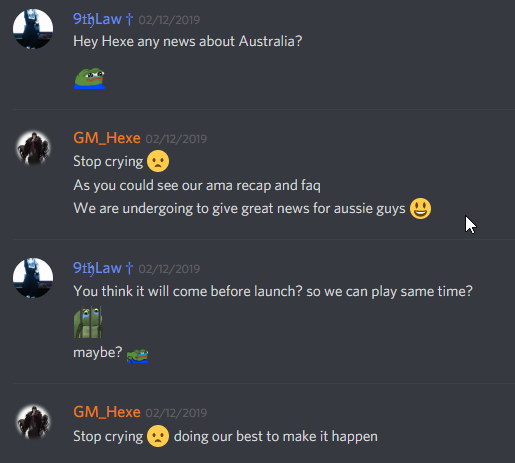 However, i'm not sure once they introduce the servers in Australia, how will they move the characters and their content? i mean, when you switch servers, nothing moves with you, which means ppl who are far into the game will have to start again.. If you live in Australia, the only way to buy it from the US store is if someone from the US buys it for you. I really hope they resolve this before headstart begins. i don't live in the EU/NA, Australia or anywhere near those regions.. however, i was able to pre-order the game from the US store, then i cancelled the order (realized i needed to play on EU server due to ping/latency), switched to UK store and pre-order it again.. and i've used my paypal account (which isn't NA/US/EU/UK account) to buy the game..
if you want a US address, search youtube for "create a US account xbox live". you'll get couple of videos explaining what you need to do.. just get the address, because that's all you need. If I buy the game from the US store, will that prevent me later on from purchasing Pearls for that account using the AU store or from using a credit card with an aussie address? Or will I always have to use gift cards or something with an American address? the region gives you access to the xbox store and to the game servers..
so, if you buy it from the US store, you will need to buy things from the US region to get them in-game on the NA servers. every time..
when the game comes out on the AU store, you need to verify on what servers/region you'll be on. i think they will probably link any add-ons/dlcs/pearls/in-game currency purchases to the same region they assigned to the AU store. so you won't need to worry. but i'm only saying you need to make sure on what region you are, just to make sure you don't go spending money on things that won't be available to you on your preferred region.